The Perdomo Fresco cigar is comprised of savory long filler tobaccos grown in the rich, dark soil of the Perdomo farm in Esteli. The binders are carefully selected from Perdomo's crops grown in the Jalapa Valley region. Graced with a golden Connecticut shade-grown wrapper, Perdomo Fresco is a mellow to medium-bodied cigar that is creamy, smooth and well-balanced for all to enjoy at an awesome low price. Act now and save $22.99. Limited time only! 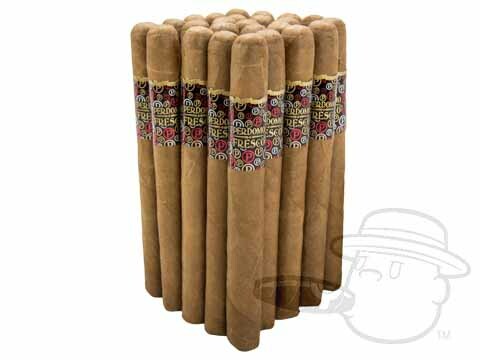 The below item has a MSRP of $38.00 and normally sells for $35.99 Get it now for $13.00 when you add Perdomo Fresco Churchill Connecticut to your cart. I have been purchasing cigars from BCP or about 2 years or more and they have the best prices, the shipping service is quick, and the product comes in an unmarked box which is great. The Perdomo Fresco Churchill Connecticuts are my personal favorite and are perfect for a 9 hole golf round. Best everyday cigar i ever smoked.Perdomo does not make a bad cigar at any price. Cigar smoker for 12 years. Tried a lot of brands but have settled on the Fresco. They are consistent and reasonably priced. Great smoke on the golf course! Easy draw and a smooth flavor that stays lit between shots on the golf course. 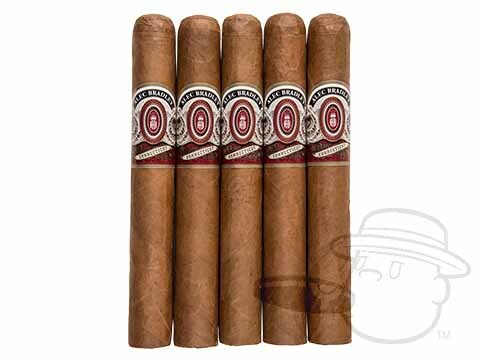 I like these cigars for the price they are a very good mild smoke. I have been smoking these for a while now and I really like them. The appearance varies from good to ok. The construction is ok on most some are soft and some are hard and some fall apart while smokeing but I can't put them down. I've tried a lot of cigars and sample packs and have found that I like most Perdomo cigars. These are the ones I want day after day though. The flavor is what I like, a little harsh but good. They stay the same throughout so not much complexity but I like them just the same. For the money Perdomo Fresco is the best everyday cigar that I have found. Best Cigar is also the best cigar source I have found. Very pleased with the experience! I say that because this cigar has everything you need to for golf. First , it will smoke as long as 90 minutes which is perfect after the turn. It is smooth and silky and leaves a great aftertaste. The first inch was spicy, bordering on bitter, then it resolved into a mild, pleasant, creamy smoke. Needed something with a little less kick but still everyday affordable. Fits the bill! My last order of three boxes contained one box that was stale. The other two are fine. A consistently good cigar and excellent service from "Best Cigar Prices" !!!! Perdomo Fresco Churchill Connecticut is rated 3.9 out of 5 based on 31 customer ratings.